From Sophrologist Dominique Antiglio, Founder of BeSophro in London. I am really passionate about my work and strongly believe in the power of Sophrology because it has totally transformed my health and my life from the moment I started practising it at 15 years. When I arrived in London 6 years ago, I knew that, alongside my work supporting my own clients with Sophrology, my aim was also to help spread the word about its benefits beyond Continental Europe, because I was surprised it hadn’t yet reached more widely. Sophrology has brought so much joy into my life, and I tend to compare practising Sophrology to gaining a new “superpower”: things simply start falling into place, without too much effort. Last year, as I was holding my little 8-month-old baby and enjoying some “mummy time”, an amazing email came in from Yellow Kite Publishing, asking me: ‘Have you already thought about writing a book?’ This was an offer I couldn’t refuse! I had indeed been thinking about writing a book on Sophrology and sharing my experience, for a rather long time. I am therefore very grateful and very excited to share the news that my book The Life-Changing Power of Sophrology will hit the shelves on the 19th April 2018! This is the first UK trade book to focus on the self-help method of Sophrology, which guides you into the practice, so you can overcome stress and connect with the calm and happy you. 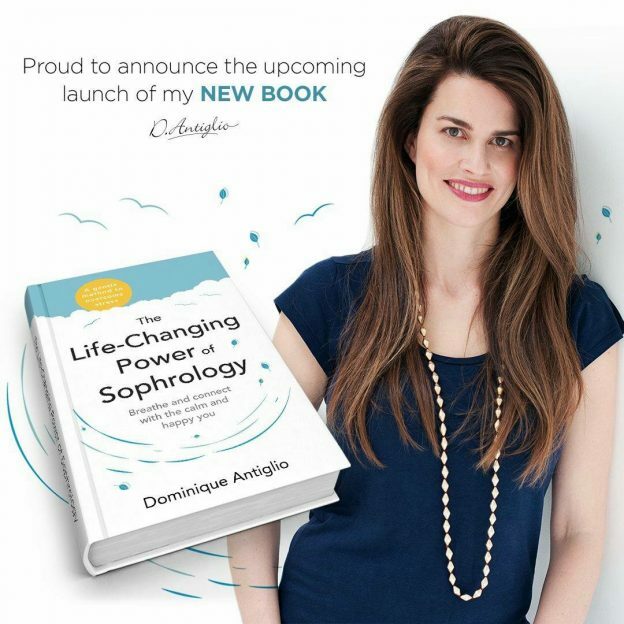 It includes everything you need to know about Sophrology and many simple exercises for body and mind as well as my journey as a Sophrologist, a woman and a mum. I am excited and honoured to be able to share this knowledge with you and really hope this book will transform your life for the better! If you would like to be one of the first notified when the book comes out, simply visit be-sophro.co.uk and sign up for my monthly newsletter. You can also pre-order here. This entry was posted in News, Press on 14/11/2017 by The Sophrology Network.